I have to assume if you got to this page, you are ready to get insane results! Well you are in luck. 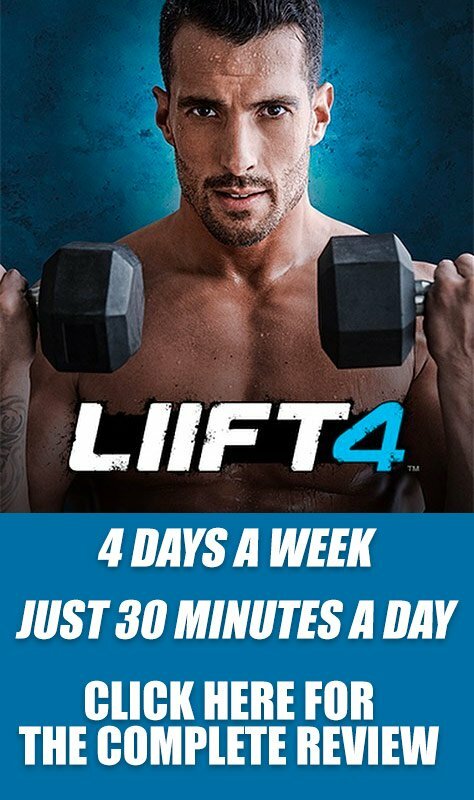 You found Insanity, the most ridiculous workout program on the planet, made by Shaun T. Insanity focuses on Max Interval Training principles to make you work harder than you have ever worked in your life, and get a workout even the best athletes can't finish without stopping. Now that I have scared you, it actually isn't that bad. It's great! Many of my Beachbody Challengers have gotten amazing results with Insanity simply by following the Insanity Workout Schedule. I decided to chop them into two workout schedules so it would be easier to print, and put on your fridge! 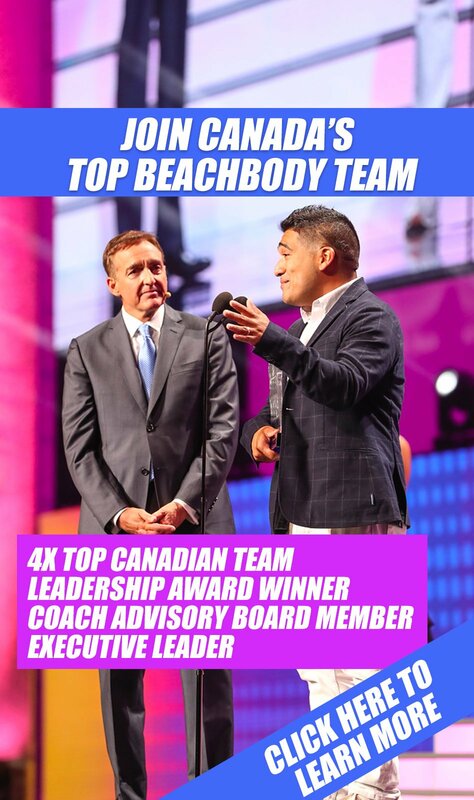 Make sure you make me your Beachbody Coach (It is totally free), try out some Shakeology, and get Insanity rushed to your house with a 100% money back guarantee! 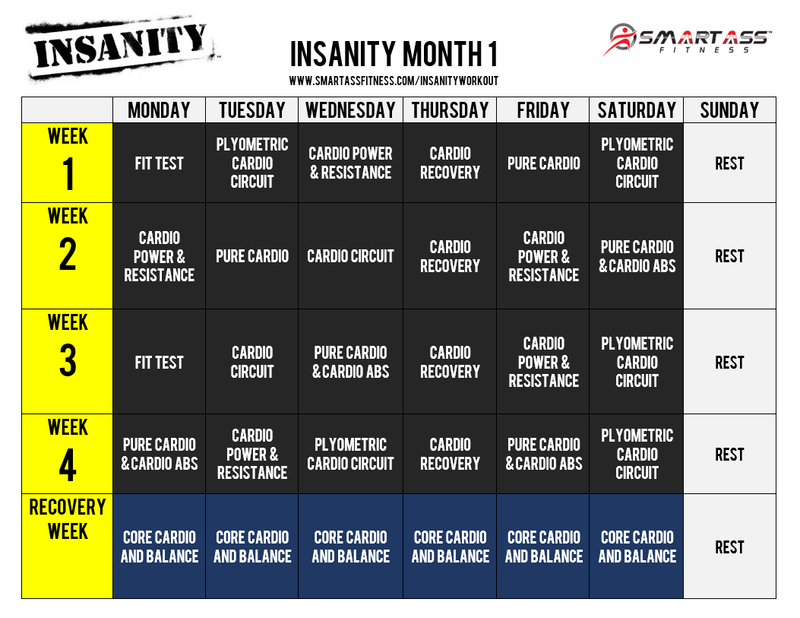 You can download a PDF version of the Insanity Workout Schedule for Month 1, or you can click the image below and save it to your computer. The Insanity Workout Schedule for Month 2 is just as Insane! 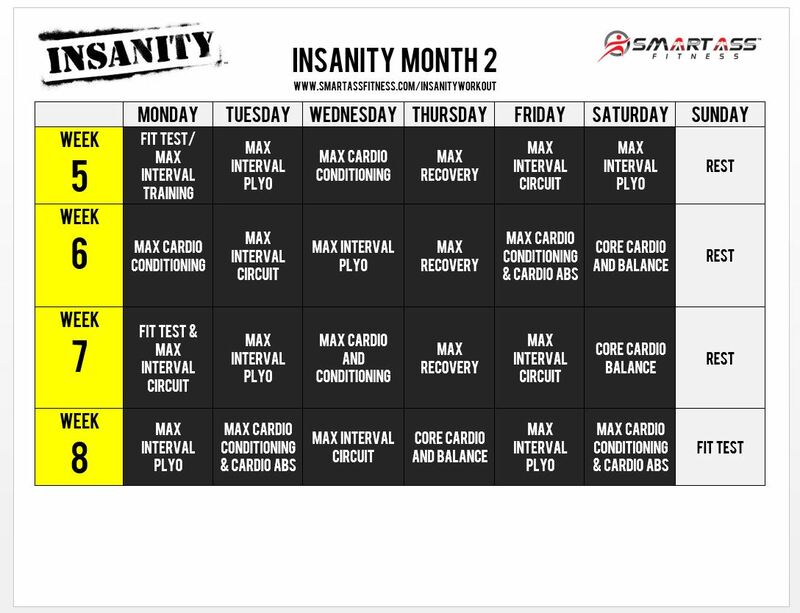 You can either download the Insanity Workout Schedule for Month 2, or you can download the image below. How Do I Get Insanity? Insanity comes in a couple of variations that should work for all budget sizes. I always recommend the Insanity Challenge Pack because it includes Shakeology (usually $130 on its own). What is Included in Insanity? Insanity includes 10 Insane workouts that will push you past your limits, breaking your plateaus and getting results. The Insanity Workout Schedule takes advantage of all of these workouts and always keeps your body guessing as to what's coming next. And of course, because you are ordering from a Beachbody Coach, Beachbody will send you Insanity Fast and Furious. This workout is designed to help you get your workout done when you are short on time. A 20 minute crazy Insanity workout that will leave your body wondering what happened, and you will be done and ready to go about your day.